Welcome to our website! We are excited to present our company BOYARD-PLUS, a manufacturer of pastry and bakery products for more than eight years. 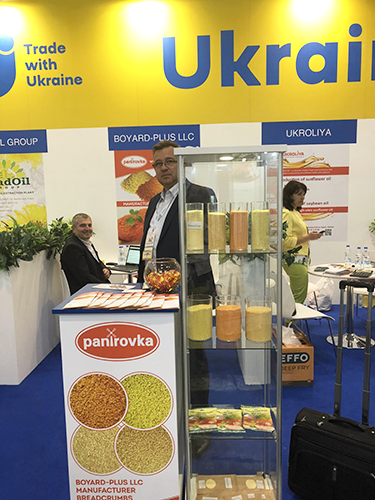 In 2012, after thorough market research and study of market needs, our company purchased a breadcrumb making line from Germany and has shortly become a leader in breadcrumb sales and production in Ukraine. With the unique technology using high-quality natural raw materials, our company produces breadcrumbs with nine-month shelf-life. BOYARD-PLUS offers breadcrumb products from freshly baked bread produced at our own production facility using top-quality flour and natural ingredients without any chemicals or preservatives. As we control quality at every production stage, our products match the quality of the best European breadcrumb products from BRATA, KerryGroup and INTERJAREK. Our best technologists study customer preferences and feedback to improve recipes and develop new products to offer the widest range of our products to please even the most demanding customers. Our experts would be happy to find the best breadcrumb colour, fraction and recipe for you to meet specifications of your production technology. We are committed to the customer-oriented approach and would be glad to offer flexible prices and various payment options. Our geography covers all Ukraine’s regions and neighbouring countries. BOYARD-PLUS delivers products to customer’s warehouse to make your cooperation with us as comfortable as possible. Our breadcrumb production technology uses only freshly baked bread produced at our own facility, so no secondary materials are used (e.g. bread unsold by retailers or bread-bakeries). We use natural raw materials and high-quality ingredients, premium or first-grade flour and different natural and plant extracts. The production does not use any gene-modified products or natural identical flavours (synthetic dyes). Our production is based on the state-of-the-art equipment making our company a very competitive player on a European market. Our breadcrumb products have already earned customer loyalty throughout Ukraine and outside. With our breadcrumbs, any housewife can cook delicious, useful and tasty dishes, true culinary masterpieces! Our products are very popular among manufacturers of meat, fish and vegetable ready-to-cook products and can be used in domestic and foreign breading machines. BOYARD-PLUS is keeping up with the times! 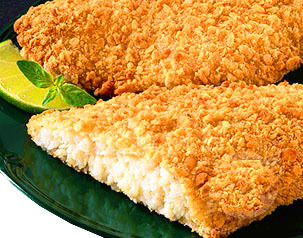 A perfect breadcrumb making technology guarantees the highest breading quality and low prices. Looking forward for mutual beneficial cooperation with everybody interested in buying our products! We offer the best products to make everyday food a culinary masterpiece so consumers could really enjoy their everyday breakfasts, lunches and family dinners. Панировка © • Панировочные сухари от производителя. Разработка сайта СіМ.